FreedomPop, the mobile carrier that offers free calls, data and texts then charges for other services, is coming to the UK. It will be its first international expansion outside the United States. The company’s British endeavor – which launches this summer – is starting with a SIM-only service. The free option will give users 200 minutes, 200 texts and 200MB of data. That puts it on par with other basic paid plans. Where that deal gets interesting is that FreedomPop adds in unlimited free calls and texts to other people on the network and free international calling to over 60 countries. It’s also launching the Jetsetter – a free international roaming data SIM which will offer 100MB of free high-speed data per month. Initially you’ll only be able to use it in the UK, Spain and France, but coverage will eventually expand to over 20 countries. FreedomPop users in the US can already take advantage of free International plans covering 50 countries. It’s attempted to upsell customers to unlimited voice, text and data plans, and other additions like a security service. 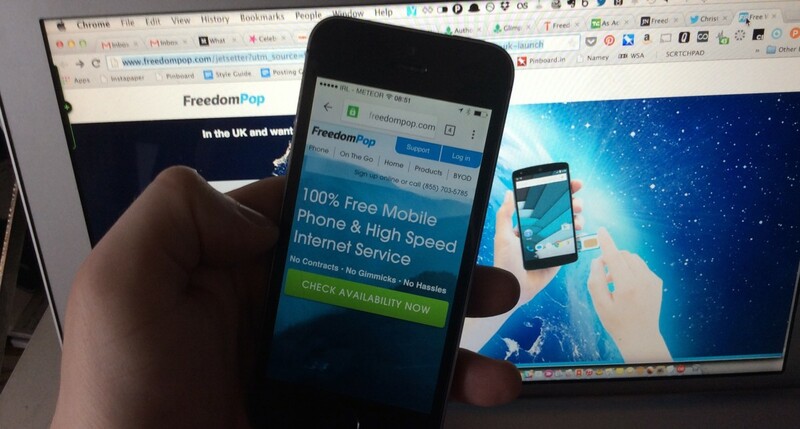 If you want early access to FreedomPop UK, the company is signing up beta users here. You can also sign up for a beta invite to grab a Jetsetter SIM.